PPC Specialty Metals, Inc., is a family-owned tool steel & specialty metal distributor providing quality products and service. When you rely on us for tool steel products, including tool steel de-carb flats, squares, rounds and hollow bar you may rest assured that every piece meets our highest standards. Over 45 years of tool steel experience and it's applications, including tool steel heat treating guidance and trouble shooting tool steel for better performance. We have the equipment and skill necessary to surpass our competition. Our plate sawing machines are cutting-edge pieces of equipment, with capacities up to 24" thick and 146" length. 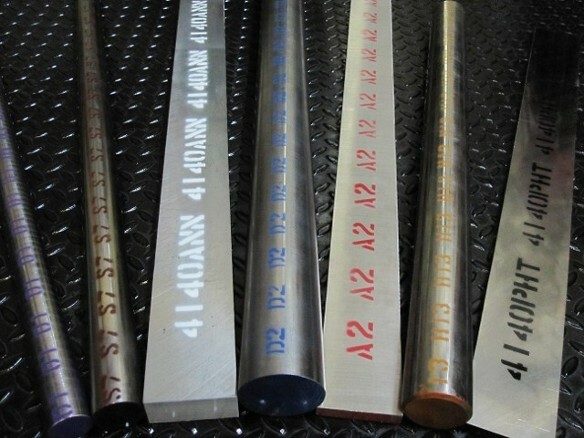 Providing custom sawing of tool steel plate and tool steel bar. When you rely on us for tool steel & specialty metals, you receive quality services and products backed by a tradition of family management. 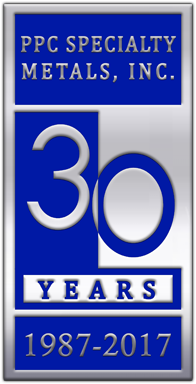 Learn more about our tool steel products and metal distributing company's history. to request more information about our tool steel products and services. Tool Steel Grades include A2, D2, S7, 01, M2, A6, S5, L6 W1, GFS Tool Steel, Tool Steel Drill Rod & hard to find grades of tool steel! Rely on a reputation of tool steel excellence when you count on specialty metal distributor PPC Specialty Metals, Inc., of Monroe, North Carolina. We have more than 27 years of experience providing the highest quality services and products to our customers. PPC Specialty Metals, Inc., is your best source for the highest quality tool steel, alloy steel, and specialty metals. We provide more than 60 grades of tool steel, and more than 35 grades of alloy steel. When you see our steel, you will see the difference! We provide free tool steel technical assistance with grade selection of tool steel and heat treatment, backed by more than 45 years of experience.